Ouagadougou (AFP) - A general close to ousted strongman Blaise Compaore took the lead in a Burkina Faso coup and promised elections would be held "soon", as the death toll from gunshots fired at protesters rose to three. The latest unrest hit the landlocked west African nation just weeks ahead of presidential and legislative elections slated for October 11 -- the country's first since veteran leader Compaore was forced out last year. The power grab began on Wednesday when soldiers from the elite presidential guard (RSP) burst into a cabinet meeting and seized interim President Michel Kafando and Prime Minister Isaac Zida. The move plunged the country into fresh uncertainty but coup leader General Gilbert Diendere -- Compaore's former chief-of-staff -- insisted he still wanted elections to take place. "Our wish is to reorganise ourselves and to move towards elections soon," General Gilbert Diendere told AFP hours after seizing power, while refusing to give a date for a vote. "But we plan to discuss all that with the concerned actors, notably the political parties and civil society organisations to establish a timetable that allows us to move towards presidential and parliamentary elections," he added. Wednesday's coup triggered immediate street protests outside the presidential palace where the leaders were being held, with presidential guard officers firing shots to disperse demonstrators. Doctors at the main Ouagadougou hospital said three people had died from gunshot wounds since Wednesday, while at least 60 others were admitted for various injuries. On Thursday, presidential guard officers positioned their armoured vehicles in front of the presidential palace and more shooting was heard around the complex. But Revolution Square -- the epicentre of last year's protests against Compaore -- was empty apart from military patrols, and the streets of the capital were mostly deserted. Elsewhere in the former French colony, angry residents erected barricades in several towns and cities in protest at the coup. 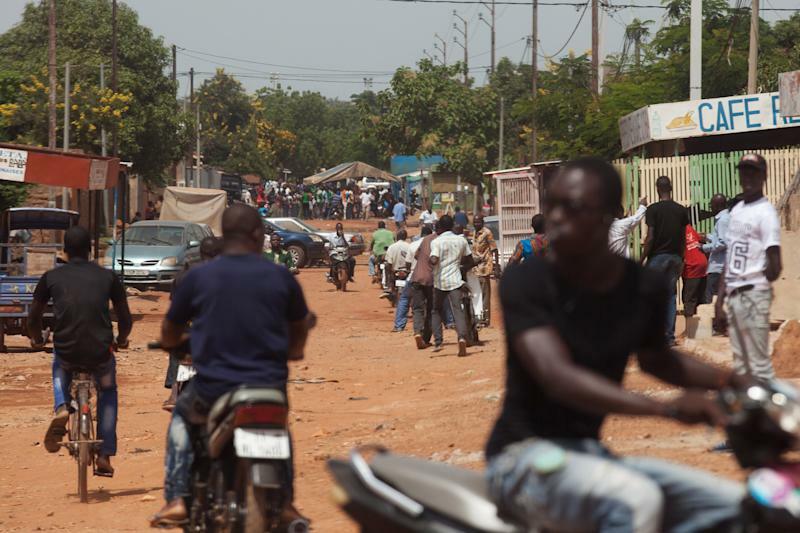 In the second city of Bobo-Dioulasso, shops were closed and soldiers remained in their barracks, residents said, while a taxi driver said the home of a member of Compaore's party had been torched. After dissolving the country's political institutions, the guards immediately announced the establishment of a "National Democratic Council" which they said would end "the deviant regime of transition" and create a government which would organise "inclusive" elections. Diendere was appointed head of the council, which announced a night-time curfew with land and air borders closed until further notice. Speaking to French television, Diendere said he had had no contact with Compaore and claimed he was backed by the country's powerful army. He told AFP the president and the premier would "be released at the right time". International condemnation of the coup was swift, with the United Nations Security Council, the United States and the European Union, one of the main donors to the poverty-stricken country, demanding the release of Burkina's transitional leaders. UN Secretary-General Ban Ki-moon has described the coup as "a flagrant violation of Burkina Faso's constitution" and said on Thursday that the country's military should "exercise restraint". In a joint statement, the UN, African Union and 15-nation Economic Community of West African States (ECOWAS) demanded "the immediate and unconditional release of the hostages". ECOWAS chief, Senegal's President Macky Sall, will visit Burkina Faso on Friday, an official source said on condition of anonymity. Compaore fled into exile in Ivory Coast after a popular uprising in October last year, sparked by his attempt to extend his 27-year rule. A transitional government had been charged with running the country until the elections but Compaore supporters were banned from standing under a controversial law passed in April that made anyone backing "unconstitutional change" ineligible. Speaking to AFP, Diendere said electoral rules would be "revised... in order to allow all those who wish to participate in the vote to do so". 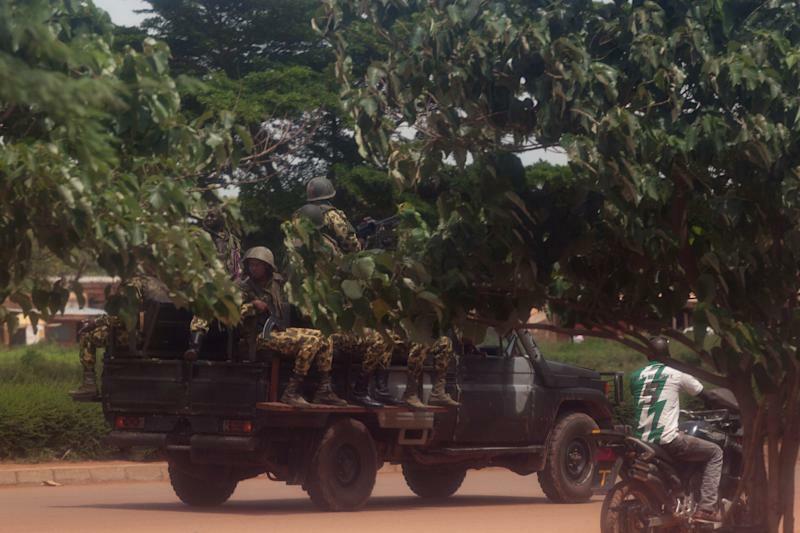 The elite RSP corps of 1,300 men, considered the best trained in the Burkinabe army, caused a brief political crisis in February when they demanded Zida's resignation after he publicly called for the unit to be disbanded. The officers reiterated the demand again in June, creating further tensions.